I’ve always been someone who isn’t afraid to speak my mind. As a kid, I was always encouraged to ask questions. I know it probably sounds like a cliché, but I have always been very sure of who I am. I am always confident that if I put my mind to something, I can do it. I have always thought that I’d like to work for the United Nations and be part of something that helps and supports people who can’t support themselves. I hope that I can achieve something like this by combining my marketing degree and my masters in international relations, which I’m now doing part time alongside my full-time employment at the University in faculty marketing. I would love to one day be a marketeer for a non-profit organisation – supporting issues in the Middle East, or in developing countries. I want to be part of things on a global scale. My first insight into marketing was for an engineering company in Portsmouth. It was that role which made me think that going to university to get a degree was worthwhile. I'm really proud that I got my degree. I know lots of people get degrees, but I was pleased that I saw it through and got a 2:1. I was chuffed to bits with that. While at the University, I did lots of part-time jobs in promotion because I wanted to experience marketing from the other side of the counter. I worked for Starbucks, Coca-Cola, Triumph Lingerie and others. I’ve worked in the Faculty of Business in an administrative capacity. 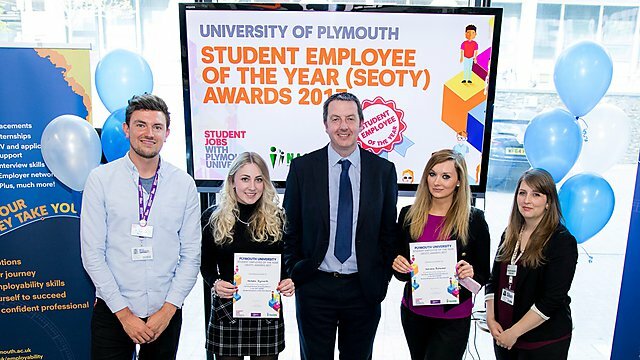 I was also in the Student Employability Service – and that’s where I got nominated for the Student Intern award. I’ve also been an Alumni Engagement Intern and a Faculty Marketing Officer in health and human sciences. I’ve been exposed to so many different parts of the University and have a good understanding of how it all works. There are so many aspects of this University that make it unique. They understand that a well-rounded human being isn’t just someone who smashes all their coursework and gets good marks. There is a sociable side to it, there’s an employability side to it – and that stuff is more important than ever in terms of being employable. The rapport and working relationships I have built with lots of different people is something that I’m really proud of. I’m also proud of doing my part-time masters. People sometimes ask if I’m sure I want to do that alongside work, but my marks so far have been really good. Aside from the pieces of paper I have which say I have done this and that, the reputation I have built, and the friendships I have, are what mean the most to me. I’m on really good terms with everyone I’ve worked with. There are times when people see an opportunity, or a news story, and they will send it to me. In terms of my character, I think that is what I’m most proud of. I feel I have built up a positive reputation for myself, to the extent where I feel like I could progress further up in years to come. I’ve worked at Plymouth for four years and by the end of it, I will have two degrees from here. I have an extreme amount of pride in this University and in Plymouth. There is a huge emotional connection. Even if I move away, Plymouth will always be a massive part of my life. Everything I went through with my health when I was just 19, reaffirmed my strength as a person. When the doctor showed me the MRI scan where I had this horrendous tumour that shouldn’t be there, it was big and scary. The signs had been there – balance problems, severe hearing loss on one side, headaches, one side of my face feeling different to the other – but at least I knew what I was dealing with. I was very lucky that it wasn’t cancerous. We knew it wasn’t because of the size of it – if it was, I’d be dead. In terms of brain tumours, mine was relatively easy to treat. They just had to cut into my inner ear without having to do massive, scary, more arduous procedures. I was quite lucky in that respect. One of the side effects of this type of operation was losing movement on one side of my face – complete facial paralysis on one side – as a 19-year-old female, who cares about what she looks like, that was extremely difficult to come to terms with. I relied a lot on my dad emotionally. I lost my mum when I was nine, so I had already had a big traumatic event in my life. Given how I managed to get through that, I just thought that I’d come too far as a person to allow this to defeat me. That’s not to say I didn’t have days where I felt sorry for myself, because I absolutely did. I would look on social media and see all my friends going out and having a good time while I was in recovery. I was very jealous and envious of that. I struggled to see all of my peers having a really good time, and for them not to be dealing with anything like this, while I was. But I couldn’t change it. I had to get on with it. I was determined not to let this thing ruin my life. But I don’t want people to ever think, ‘she’s gone through that, she’s an inspiration because of that.’ I don’t think that’s fair. I do want to be considered a good person on my own merit, so I don’t ever lead with it. I don’t want people to treat me differently, either positively or negatively. At the same time, it has given me some extra motivation. By the age of 19, I had gone through two traumatic life events and channelled that into trying to be as successful as I can be. 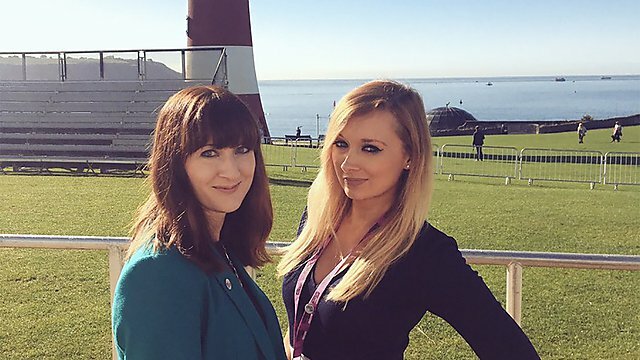 I felt like I gained a lot of respect for myself to the point where I feel confident to put myself forward – not just speaking up in meetings, but applying for roles and generally being ambitious. I don’t think it was an epiphany moment, but the issues with my health did make me realise that life is too short. You need to push yourself forward and let people know that you’re confident, without being brash about it. The role of women has come a long way. I feel like we are beginning to do a great job in this country in terms of gender parity. We have a female Prime Minister for the second time, which shows how far women have come and continue to progress. But the 200 years prediction before we reach global gender parity is a shocking statistic and very concerning. There are parts of the world where there is still progress to be made in terms of equality. I think what we are doing in the UK is a benchmark to work towards in other parts of the world. I’m sure we can identify the main problems, those things that will take us 200 years to fix, and solve those. This is a subject that means a lot to me. I did my undergraduate dissertation on the gender stereotyping of children’s toys. I feel quite strongly about equal rights. Not just women’s rights, equal rights. We need to continue progress. We really need cooperation from every stretch of society. Men and women need to be working together to achieve equality. I specifically did my undergraduate dissertation on this and interviewed 20 parents. It was about trying to understand the decision-making process, about why parents buy certain toys for their children. It was really interesting to see that nearly all the subjects did select gender-specific options for their children that matched their child’s gender. What was really interesting was that, when they looked back, they’d wondered why they’d done it. The gender issues are so deep-rooted that we can’t even see it. It is not always a bad thing, but it is something that has become subconscious. As a child, my parents never enforced any stereotyping on me. My dad always said that there is no reason you can’t achieve the same as a man. With my dissertation, I wanted to try and identify where the lower aspirations in females come from. There is a lot of research that suggests that part of the issue surrounding women in the workplace – why there isn’t equal pay and equality – is down to the fact that young women and girls don’t have the same aspirations. But if you look at the children’s toys and see that the books for girls talks about how to be the prettiest girl, and the boys’ books are all about how to be the smartest doctor, you think it is no wonder that we’re not quite there yet. I don’t want anyone to feel they can’t achieve anything. I work in the Faculty of Health and Human Sciences and there is a stereotype about nursing being a female-dominated environment. I would hate that to deter a male applicant from pursuing a degree in nursing, as equality and freedom of choice should absolutely go both ways. I don’t think gender should ever be a reason for someone not to pursue something they are passionate about. Everyone should want to be treated equally. That’s not to say that women shouldn’t be stay-at-home mums or cook dinner, it’s about the ability to have choice. Equality for me will be when there are no stereotypical roles that people are forced into. One day, it will all be based on your belief in yourself and down to the individual to excel in whatever they want to do. It’s not about favouritism towards women. I just want people to have the choice to decide what to do with their own lives. Any progress is better than no progress, and if we all just keep pushing forward, giving our opinions and talking, I think we’ll get there.